Over the last few years, Google has been building more and more personalization into the search results. This is both a good thing and a bad thing. It’s good, for users, because they have a higher chance of coming across content they like and want to see. On the other hand, for businesses and marketers, it can make it difficult to run basic, unbiased search results to come up with valuable information. If you aren’t personally connected to a subject, it’s possible some great info is just hidden away. There are other reasons to frown upon Google’s personalization push as well. The New York Times, when some personalization rolled out, pointed out some serious privacy and antitrust concerns. Google has been none the worse for wear since, but neither have they alleviated much of those concerns. There are several ways you can work to depersonalize Google and their search results. Some are a little more convoluted than others. The first and easiest way to toggle your search results is from the search results page itself. However, it requires that you have a Google account and that you are logged in when you run the search. You will notice, up at the top right of the page, there are three icons. One is the silhouette of a person, one is the familiar globe icon and one is the gear settings icon. The two – person and globe – are the important icons here. Click the globe icon. This removes personalized results from your search. In some cases, you may not see any change to the search results. In others, the change may be dramatic. In large part, this comes down to how active your Google+ friends are in regards to the query. See, Google may have removed authorship, but they have kept a certain level of Google+ contributor influence in search. If you are signed in and you have a blogger in your circles, when you search for a topic they have blogged about, you will very likely find their blog in the top of the search results. Furthermore, that blog will benefit from what was previously an Authorship perk; a profile picture. This “personal results” toggle also incorporates data about your browser and device, your location, your web history and any other data Google has managed to collate with your user profile. Disabling such results gives you pure, unfiltered Google Algorithm results… sort of. There are deeper layers of personalization at work. The problem with this method is that it’s not a default setting, it’s a per-search setting. Every time you perform a new search, the button reverts back to personalized results. You will either have to remember to click to global results for every search you run, or find another way to disable them. This time, instead of dealing with the two linked personalization buttons, click the gear icon. Click search settings and examine the options available on the page. SafeSearch settings. This can be set as you will, it has no effect on personalizing your results. Instant Predictions. Google’s instant search predictions are frequently off-base and less than accurate, and the system for displaying them as you type is somewhat buggy. If it bothers you, turn them off. Otherwise, leave them on at your leisure. Results per page. Google’s default is ten results, and you can’t change it unless you turn off instant results. If you do that, you can set up to 100 results per page. Given that most of the time, value is stacked in the top ten, there’s generally no reason to expand it beyond 30 at the most. Private results. This is the part we came here to see. Just click to turn off private results and it will disable them for your account, at least so long as Google doesn’t reset your settings at some point. Make sure to do this for every Google account you use, if you have more than one. Result opening. Just a simple convenience setting, check the box as you desire. At the bottom of the search settings page – or in the “history” tab of the gear icon dialogue box – is the history page. Click to the history section to see what Google knows about you. 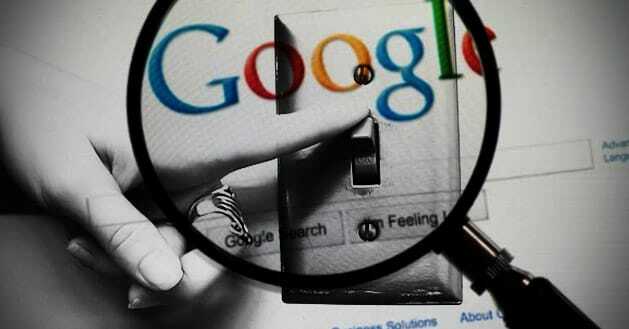 You may be surprised at how much information Google stores about your search and web history. A typical log entry might contain your search query, the results you clicked on, the time you searched and how often you’ve viewed the page in the past. You can see your total number of recorded Google searches, and your comparative search density for each day. 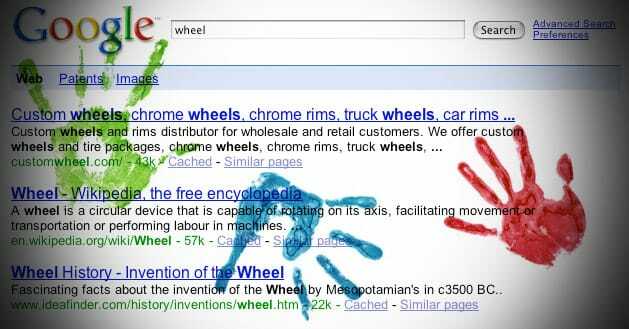 Google even has it segregated into types of search, through web, images, news, products, ads, video, maps, blogs and books. On this page, you have a few options. You can pause your search history, so that no more pages are added to that history while you search. You can unpause it later. You can manually remove individual search items, if you don’t want them skewing your personalized results. You can see search trends and items of interest. You can also delete your entire history and disable the feature entirely. There are some valid reasons to keep this history alive. You can make use of the information gathered here to put a sort of analytics look on your own search history. In the even of a public computer using one unified Google login – which is probably a bad business practice, in any case – you can monitor any user of the search engine on that account. Cookies are small text files that websites place on your computer to help them remember you when you visit again. Some are semi-malicious tracking and ad serving cookies, while others are simple “remember that I’m logged in” cookies and session information. 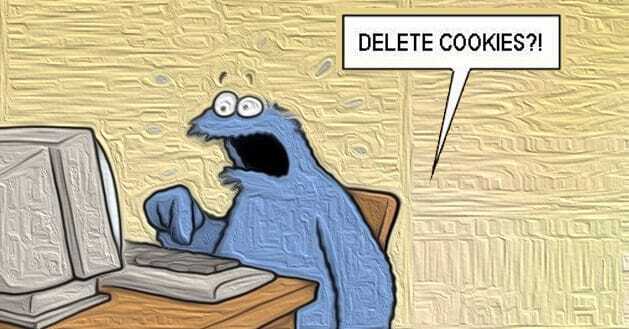 Deleting cookies helps to delete any information websites are tracking about you. Firefox, Chrome and other modern web browsers offer a functionality called incognito mode or private browsing. Essentially, the browser pretends none of your settings, cookies or saved information exists for the purposes of the browsing session. If your need to be discreet and use a depersonalized search is temporary, an incognito session can be a great option. Make sure you’re not logged into Google when you run your searches, of course.